-Next Friday starts the three day weekend of SCARE-A-CON at the TURNING STONE RESORT CASINO in Verona, NY Sept. 30-Oct. 1. Tickets online are currently discounted. It looks like I will be part of an actor’s panel on Friday night with actors Jennie Russo, Michael Merchant, Wes Reid and others. Saturday will be the triple showing of three films that I’m in- “Empire State of the Dead,” SHE KILLS and NIGHT OF SOMETHING STRANGE. 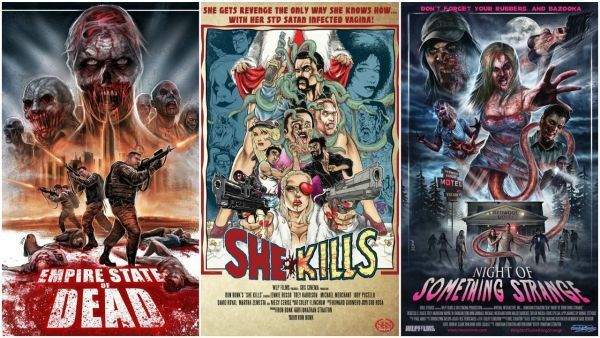 She Kills will be on at 2:30 PM in Screening Room #1. Unfortunately, “Empire State of the Dead” will be going , basically, head to head against NoSS as it goes on at 6 PM at Screening Room #2 while NoSS will be showing at screening room #1 at 6:30. Check out the Scare-a-Con site below for more info on admission, times, celebrity guests and other film screenings. This entry was posted in ACTING, FILMS and tagged 2016 Best Horror Film Award, 70's exploitation films, acting, Corneilus, Draven, Empire State Of The Dead, evil dead, gore, Grindhouse, horror, Horror Expo, jennie russo, jonathan straiton, mad angel films, Michael Merchant, night of something strange, NY, Scare-A-Con, SHE KILLS, The Saltine Warrior, Turning Stone Resort Casino, vernon, wayne w johnson, Wes Reid, WWJ, zombies. Bookmark the permalink.